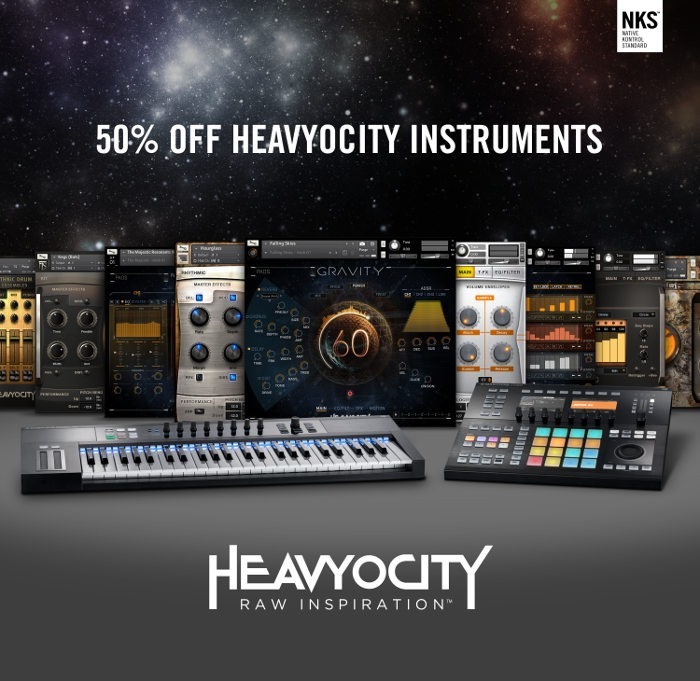 range of Heavyocity KONTAKT-based instruments is now compatible with Native Kontrol Standard (NKS) – the extended plug-in format that allows deep level integration with Native Instruments’ KOMPLETE KONTROL S-Series and MASCHINE hardware. allows third-party instrument developers to directly address hardware features in KOMPLETE KONTROL S-Series and in MASCHINE. NKS instruments organically appear in the Native Browser with all presets readily tagged, offer sensible parameter assignments via Native Map, and make use of the Light Guide to display key switches and sample assignments. NKS also brings Smart Play features to third-party instruments, allowing detailed access to the S-Series’ touch strips, scale mapping, Chord Sets, and the powerful arpeggiator. The list of partners supporting NKS with free updates for their instruments is growing rapidly. Notable partners include Arturia, u-he, Softube, Waldorf and Rob Papen. This entry was posted in native instruments, Plug In, Samples Libraries, sconti, Software, Tutorial, Vst and tagged native instruments, native instruments heavyocity, ni, sconti native instruments. Bookmark the permalink.